Carbamate pesticides with good insecticidal effect have been widely used in Chinese agriculture. Although carbamate pesticides are not highly toxic compounds, the ultra-limited ingestion through food or traditional Chinese medicine will also threaten human health. 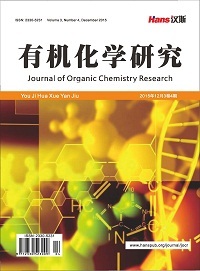 In recent years, several de-termination methods of carbamates pesticides have been developed, mainly including gas chro- matography, gas chromatography-coupled with mass spectrometry, high performance liquid chromatography, high performance liquid chromatography-coupled with mass spectrometry, high performance liquid chromatography with post-column derivatization and fluorescence detection, biosensors, and so on. 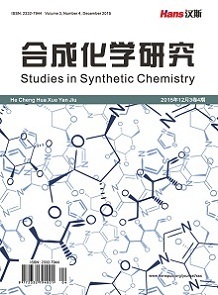 This paper summarizes the features of these determination methods, and analyzes the development trend of determination methods of carbamate pesticides. 刘宏程, 杨光宇, 马雪涛, 等. 测定中药材中氨基甲酸酯类杀虫剂残留的高效液相色谱柱后衍生法[J]. 药物分析杂志, 2006, 26(6): 857-859. 张帆, 李忠海, 王利兵, 等. 食品中氨基甲酸酯类农药残留的检测方法研究进展[J]. 中国食物与营养, 2010(2): 64-67. 中华人民共和国农业行业标准, NY 1500. 13. 3~4 1500. 31. 1~49. 2-2008 [S]. 北京: 中国农业出版社出版, 2008. 李崇瑛, 白亚之, 钮松召, 等. 食品中氨基甲酸酯农药残留的分析方法[J]. 分析科学学报, 2007, 23(6): 723-728. 孙福江, 李润岩, 原现瑞, 等. 顶空固相微萃取–气质联用法检测苹果中氨基甲酸酯类农药残留[J]. 食品科学, 2010, 31(10): 223-227. 陈红燕, 王龙根, 徐振球. QuEChERS-GC-MS/MS快速分析蔬菜中5种氨基甲酸酯农药残留[J]. 现代农业科技, 2015(22): 130-135. 邵金良, 黎其万, 刘宏程, 等. 高效液相色谱法测定蔬菜中8种氨基甲酸酯类农药残留[J]. 现代食品科技, 2011, 27(7): 856-860. 李海飞, 李静, 徐国锋, 等. HPLC快速分析水果中氨基甲酸酯类农药残留量[J]. 分析试验室, 2009, 28(增): 72-75. 周震华, 吴友谊, 殷斌, 等. 基质固相分散–反相高效液相色谱法测定水果中的氨基甲酸酯农药残留[J]. 分析试验室, 2015, 34(12): 1388-1391. 张帆, 黄志强, 张莹, 等. 高效液相色谱–串联质谱法测定食品中20种氨基甲酸酯类农药残留[J]. 色谱, 2010, 28(4): 348-355. 杨如箴, 王金花, 张蓉, 等. 凝胶渗透色谱净化超高效液相色谱–串联质谱法检测甘草及其提取物中的11种氨基甲酸酯类农药残留[J]. 色谱, 2010, 28(8): 769-775. 邓立刚, 李增梅, 郭长英, 等. 超高效液相色谱–串联质谱法测定蔬菜中7种氨基甲酸酯类农药残留[J]. 食品科学, 2011, 32(6): 221-224. 赵晓琳, 霍乃蕊, 花锦, 等. 超高效液相色谱–电喷雾串联四极杆质谱法检测芦笋中20中氨基甲酸酯类农药残留[J]. 食品安全质量检测学报, 2015, 6(1): 252-259. 郝学飞, 董小海, 钟红舰. 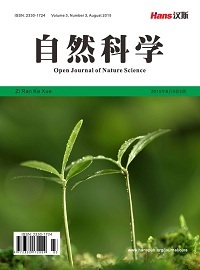 氨基甲酸酯类农药残留检测方法对比研究[J]. 食品科学, 2010, 31(2): 183-186. 王连珠, 周昱, 黄小燕, 等. 基于QuEChERS提取方法优化的液相色谱–串联质谱法测定蔬菜中51种氨基甲酸酯类农药残留[J]. 色谱, 2013, 31(12): 1167-1175. 甘凤娟, 陈砚朦, 李月欢, 等. 高效液相色谱–柱后衍生荧光法检测氨基甲酸酯类农药残留量[J]. 中国卫生检验杂志, 2005, 15(12): 1460-1461. 毛秀红, 郏征伟, 苗水, 等. 高效液相色谱–柱后衍生–荧光检测器测定中药材中13种氨基甲酸酯类农药残留[J]. 中成药, 2010, 32(3): 454-459. 姚学鹏, 刘绍琴. 生物传感器用于农药残留检测的研究进展: 现状、挑战及未来展望[J]. 食品安全质量检测学报, 2013, 4(1): 54-60. 梁东军, 郭明, 胡润淮, 等. 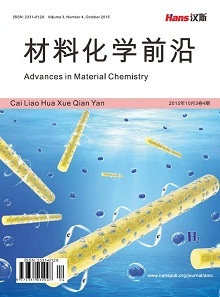 新型氨基甲酸酯农残生物传感器制备及检测性能分析[J]. 分析试验室, 2014, 33(1): 87-91. 张昊, 刘传志, 徐影, 等. 生物荧光传感器检测环境水样中氨基甲酸酯类农药残留[J]. 分析化学, 2014, 42(1): 104-108. 王晓朋, 曾梅, 万德慧, 等. 化学发光生物传感器法测定食品中有机磷与氨基甲酸酯类农药残留[J]. 食品安全质量检测学报, 2014, 5(12): 4163-4171.